Colony Rug Company is a family owned and operated business with its origin dating back to 1904. The company provides sales and installation services to both trade and retail clientele throughout New England and in recent years has expanded to the entire East Coast. Colony Rugs’ reputation has been built upon years of experience and excellence in the industry. We feature a wide selection of carpeting and a diverse collection of hand knotted and fabricated rugs. Colony Rug takes pride in their skilled craftsmanship, custom installations and fabricating services that are provided to every client. 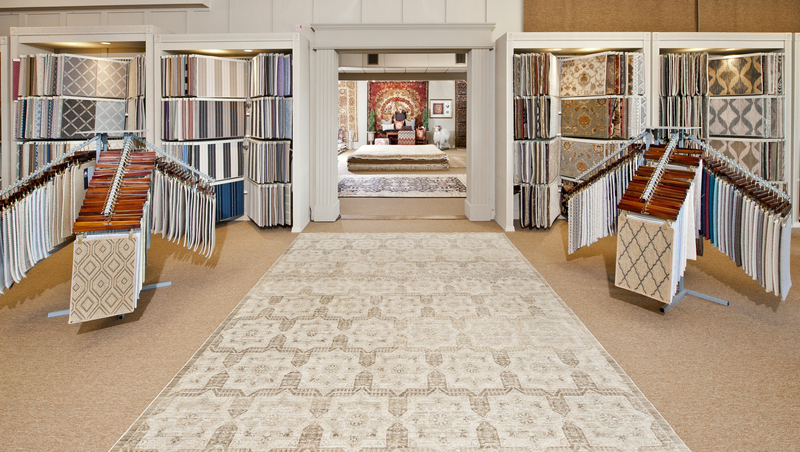 Showroom featuring high-end carpet samples & hand-knotted rugs, as well as exclusive products. Many in stock rolls and area rugs featuring popular textures & fibers from wool Wiltons to sisal. Delivery and installation throughout New England, the Islands and the entire Eastern seaboard. Workroom capabilities for materials purchased elsewhere. Room templating for cut-to-fit custom fabrication.